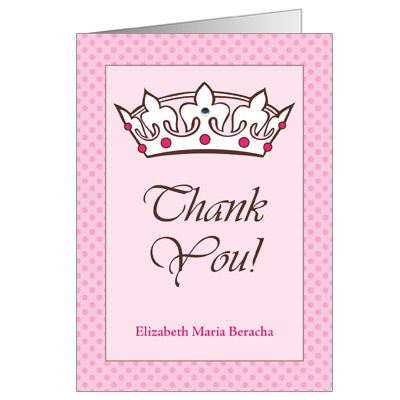 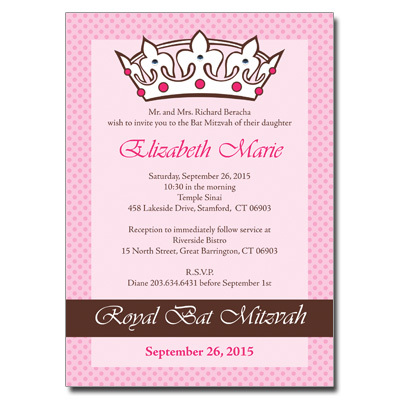 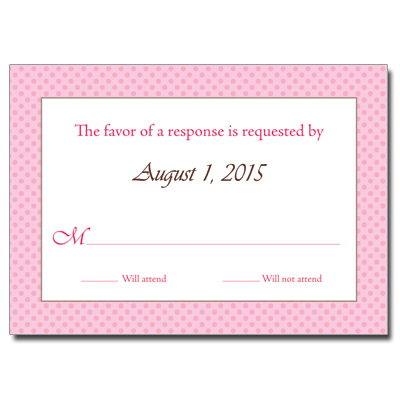 Send a regal note of thanks with these royal Bat Mitzvah thank you cards. 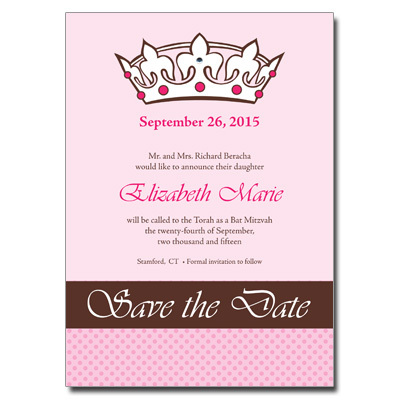 A crown sits atop a background of pink polka dots, with a silver jewel for added sparkle. 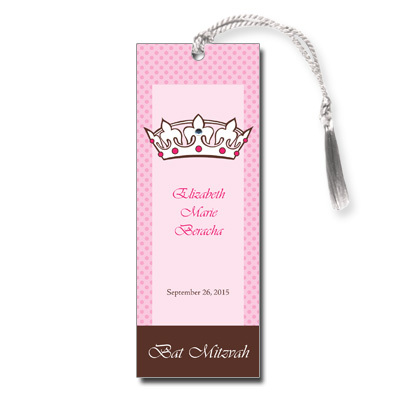 Folded card measures 3.5x5 and comes with adhesive jewels; light assembly required.